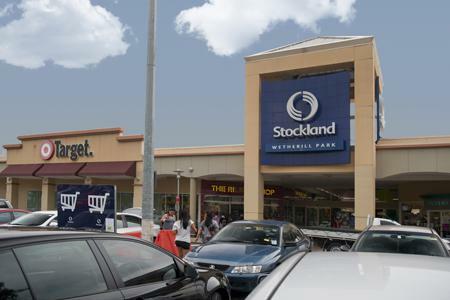 Stockland has announced it will undertake a $222 million expansion of its Wetherill Park Shopping Centre in Western Sydney, with preliminary site work scheduled to start towards the end of October 2013. Located in Prairiewood within Fairfield City Council, Stockland Wetherill Park is nominated as a potential major centre under the Sydney Metropolitan Plan. Mark Steinert, Managing Director and CEO at Stockland, said Stockland will expand the centre by 15,000 square metres to create a shopping centre with a Gross Lettable Area (GLA) of more than 70,000 square metres. “We’re reshaping our retail shopping centres with a clear objective to be a leader in regional areas and have a clear point of difference in metropolitan areas,” Mr Steinert said. Stockland believes the redevelopment will provide strong financial returns, deliver growth in market share and recapture a portion of the estimated $600 million escape expenditure in this trade area. John Schroder, Group Executive and CEO Commercial Property at Stockland, saidWetherill Park Shopping Centre is a prime redevelopment opportunity due to the undersupply of retail space in the trade area, fragmented competition and strong local economy. “The design of the project incorporates local identity and varying styles of architecture to enhance the level of urban amenity desired by our customers,” said Mr Schroder. Stockland Wetherill Park currently consists of 132 specialty stores (117 in-line stores and 15 kiosks sites), and is anchored by Big W, Woolworths, Target and a 12-screen Hoyts cinema. The centre was developed by Stockland in 1983 and has been through three phases of development, with the most recent redevelopment completed in 2003. Stockland plans to transform the shopping centre into a more vibrant and thriving community hub that will be the most comprehensive retail offer in the total trade area. The centre will include children’s wear, youth apparel, sport and home wares. The redevelopment will also incorporate an improved level of community amenity, through the delivery of an enhanced entertainment and leisure precinct including an upgraded Hoyts, additional restaurants and a new 800-seat food court. The centre already strongly outperforms industry benchmarks. Current specialty retail sales productivity at 30 June 2013 was $11,150 per square metre; 43 per cent above the industry benchmark of $7,800 per square metre for comparable multiple discount department store (DDS) based sub-regional assets and 14 per cent above the industry benchmark of $9,770 per square metre for multiple DDS and department store based regional assets. Stockland has forecast the shopping centre to deliver an initial pre-AIFRS yield of 7.25 to 7.5 per cent on completion and, after stabilisation, an incremental IRR of 13.5 per cent. In order to minimize impact on pre-Christmas trade, Stockland will commence the redevelopment with a light touch over the first few months. Major works will then begin in January 2014 and will be managed in three sequential stages to minimise disruption to retailers and customers. Completion of the entire project forecast for mid-2016. 2,700 car parking spaces, (4.5 spaces per 100 square metres of Gross Lettable Area Retail (GLAR), which excludes the cinema floor space and pad site land component. Stockland is targeting 5 Star Green Star ‘design’ and ‘as built’ environmental ratings, a first in the Stockland retail portfolio.